What Can You Expect From CloverCARE Support? You’ll be listened to. We’re not going to point you to some unrelated support resources to rush you off a call. We really want to help you solve your issues and move forward together. You’ll talk to real people who are part of the CloverDX family. We’re close to all the other teams and can access their expertise if the situation requires a little extra something. You’ll be able to reach us. No automated replies. We respond and mobilize quickly with your stressors to get you back on track. In this blog, I want to dive into these values with a few stories, so you can see why I’m proud to part of the team that you can rely on. Nothing wastes more time than flying blindly. Working quickly is one thing, but any good support team knows working efficiently actually means spending time gathering thorough insight and testing your instincts before tackling the problem head-on. Here's an example: One of our customers was getting a strange "timeout" error while running a jobflow. It could have been anything, so we actually had the customer talk us through every little thing the jobflow was doing. As it turned out, the time we spent learning the details immediately paid off. The problem was due to a rogue firewall rule because, as it turned out, the jobflow was working with remote files. Instead of frustrating the customer with blind shots of "Try this" or "Try that," actually getting to know the situation thoroughly first is always way more efficient and pleasant—for everyone involved. 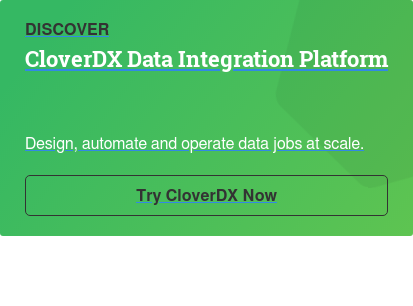 One thing I really like about working here is that our team is tightly integrated with the rest of the CloverDX crew; all of us share the same office with developers and/or consultants. Needless to say, we get a lot of facetime with them, an advantage we make use of when necessary. As a quick example, we once worked with a customer who was trying to configure a secure connection to their MySQL server with no luck. They were always getting peculiar SSL errors. After they walked me through exactly they were doing and how, I tested it on my own. And what do you know? I was getting into the same trouble! So I went on to try all sorts of certificate formats, verified the certificates and keys a hundred times—with no result. Feeling defeated, I consulted the devs; they’re all-knowing, right? At first they were perplexed as I was, but then one of them suggested it may be the keytool we were using. That nailed it, and switching to another one worked like charm. Apparently the one used by our customer couldn’t handle certificate bundles properly. For me, having the development team near to bounce ideas off when things seem fishy is a great help. An important day is fast approaching, so of course everything goes wrong. Sound familiar? The last thing a customer needs when dealing with a Murphy’s Law nightmare is slow support response time to compound sky-high stress levels. In the days leading up to Black Friday one year (one of our customer’s busiest days!) we received a support ticket from our customer saying that their production server was having major issues with unexpected crashing. A bad day to a customer means a bad day for us, so we jumped on the situation quickly. Maybe I’m tooting my own horn, but these are the moments where I’m proud to be part of a knowledgeable, responsive team who earnestly wants to get it right. Being able to diagnose an issue on a high-stakes call is never easy, but if you formulate the right set of questions and plan ahead to rule out all possibilities, you can really get things done efficiently. We got the customer on a call the first thing in the morning and started by looking over their environment. We found that they had been using an unsupported version of Java and they had large part of their memory reserved for CloverDX Server—both known to cause issues. We also suggested explicitly throttling the number of parallel jobs, given the rather "dangerously generous" design of their particular transformations. With our recommendations, they were able to get through Black Friday smoothly without any further hiccups. Along with leftover Thanksgiving turkey and pumpkin pie, that was something we could all be thankful for. I think it’s great to be part of a dedicated, smart, and experienced team that enjoys helping our customers day in and day out. Approaching each issue with our core values in mind allows us to offer tailored, timely support so that our customers leave satisfied and feel, well, supported. So, if there's something weird and it don't look good…who you gonna call? We hope it’s CloverCARE Support. If have any questions or want to chat more, please don’t hesitate to contact us.